This recipe is amazingly tasty, surprisingly easy, and 100% vegan if made with an oil-based pie crust. I became frustrated that so many recipes were not truly vegan, not that they claimed to be; an egg or a sprinkling of cheese here, a tablespoon of butter or milk there. It’s amazing what one can do with mundane veggies. Entry filed under: For One or Two, Main Course, Sides & Salads, Vegetarian. 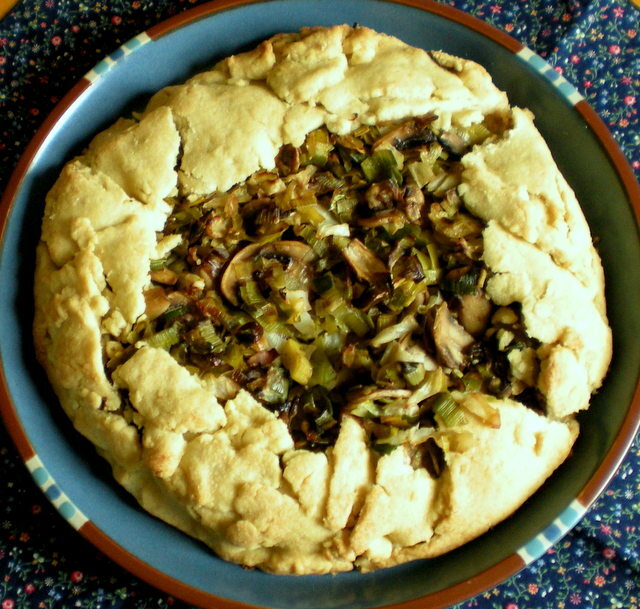 Tags: galette, leeks, mushroom.